Tuesday, 11:30 AM LOL's (Ladies Out to Lunch). All Ladies in the club are welcome. Annual Gil Machado Memorial Shake Down Tour. Antique Truck Show, Amador County Fairgrounds, Plymouth. Joint tour with Auburn A's & Sac Valey Model T Club. Towne Center, El Dorado Hills. ♦ May 6 Board Meeting, Swap Meet planning, 6 pm Round Table Pizza, Auburn. 35th Annual Auburn Cruise Night. 2nd Friday each Month, May Thru Sept.
Lincoln Way, Auburn, CA – 4 blocks between Elm and High Street, 5 to 9 pm. 9 AM Swap Meet Set up - 5 PM Club BBQ Potluck. Gold Country Fairgrounds. 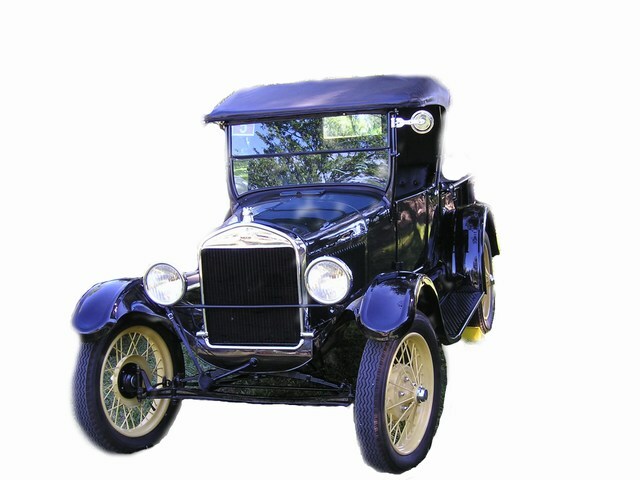 Pava's Antique Car Tour & Ice Cream Social. Meet 10 AM, Safeway, Cameron Park.